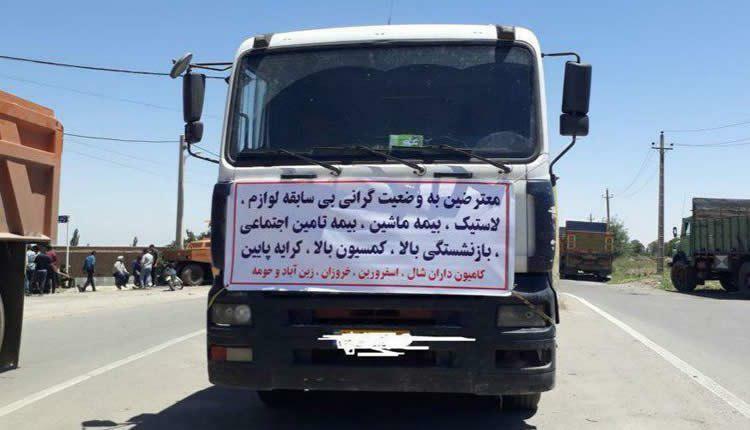 Lorry drivers in Iran have staged temporary strikes during the recent months, calling on the authorities to increase their wages and control the tyre market, which has put the drivers under great pressure. 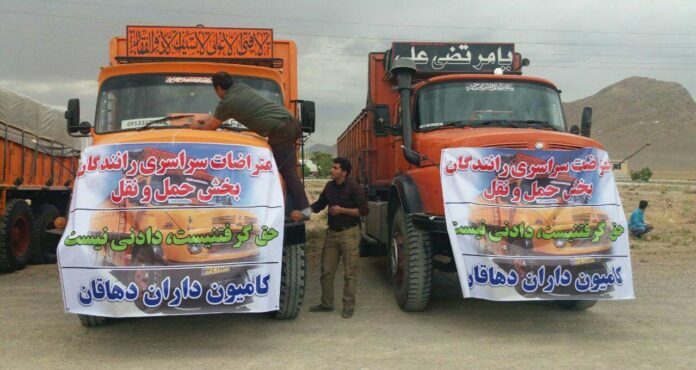 Lorry drivers staged a days-long nationwide strike in Iran in late May 2018, in protest at low wages and a lack of insurance coverage. Afterwards, the government promised to raise their wages and offer them insurance. Good decisions were also made, including the allocation of foreign currency at an exchange rate of IRR 42,000 to the dollar for importing tyres, the reduction of tariffs on imported spare parts and tyres from 30% to 5% and the clearance of 70,000 to 100,000 tyres from the customs. Accordingly, half of the lorry drivers’ demands were met, but many of their problems, including the provision of tyres, remained unsolved. For the second time in the past several days, some lorry drivers stopped work in protest at their working conditions. They objected to high costs of maintenance and spare parts as well as high freeway tolls. Lorry drivers say they not only do not enjoy insurance for hard working conditions, but also have problems receiving the basic insurance and social services. On the other hand, many profiteers have hoarded the equipment and parts needed by lorry drivers such as tyres, which delayed the settlement of lorry owners and drivers’ problems. Unfortunately, there is not much supervision over the activities of profiteers and hoarders, which further fuels lorry drivers’ problems. 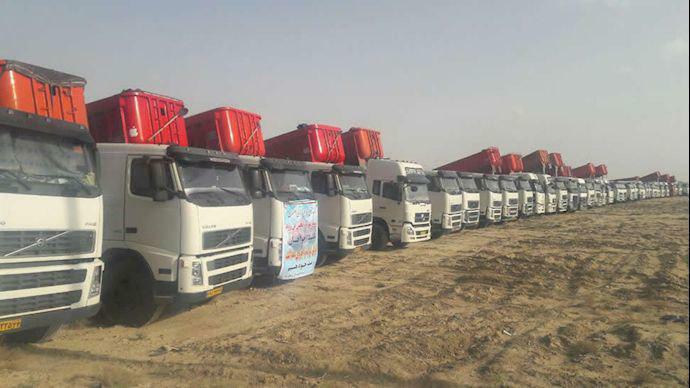 Iran has enough tyres, but hoarders have caused a severe shortage of the product on the market, resulting in losses for lorry drivers, businessmen and people. Senior police authority Mohammad Sharafi has weighed in on the issue in an interview with Iran’s state TV. “Truck owners (drivers) show good cooperation under the current sensitive situation in the country. Some people who do not have good intentions and who want to disrupt lorry drivers’ activities and keep lorries from moving will be seriously dealt with, and offenders will be punished,” said the police official. Another official also pointed to the problems that drivers are facing. “Lorry drivers were charged extra commission, which had led to their objection,” said the head of the drivers’ unions handling transportation on the country’s roads. In this regard, more than 90 cargo transport companies which had committed violations have been closed and the necessary measures have been adopted. This comes as the main problems facing lorry drivers remain unsolved and are expected to be resolved more rapidly. For instance, a shortage and high prices of tyres have seen drivers being unable to afford tyres. Moreover, they cannot drive on roads with old, threadbare tyres. So, it means they want to work and it is not a matter of strikes or something, but driving on old tyres is dangerous and drivers cannot do that. Dariush Baqer-Javan, the director general of the Road Maintenance and Transportation of Hormozgan Province, says some 4,000 tyres have been cleared from customs in recent weeks and are stored at cargo depots. “As of Friday, the tyres needed for lorries will be distributed at the state price of IRR 21,000,000 among drivers who have loaded their lorries,” he said. 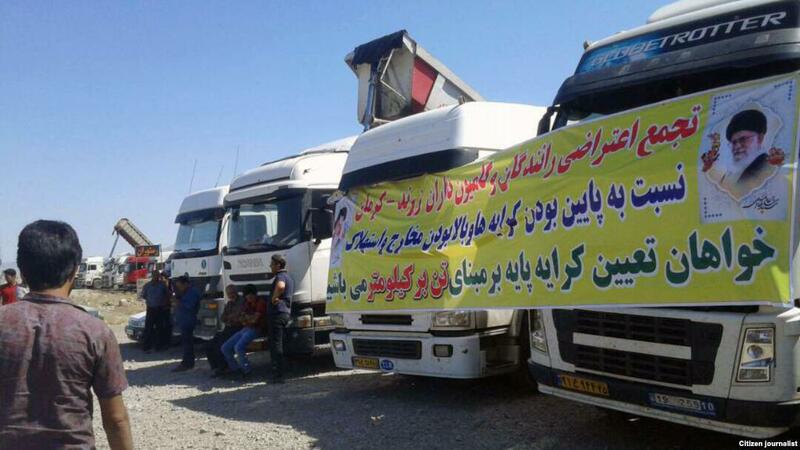 Mohammad-Reza Ganji, the head of the Iranian Tyre Union, said it has been agreed that a 5% tariff be imposed on imported tyres at the request of local tyre producers themselves in order to solve lorry drivers’ problems. “A new production line for lorry and bus tyres will soon be inaugurated with a capacity of 25 thousand tons,” he said. “So far, some $100 million as well as more than IRR 2 trillion has been appropriated for the factory to be launched, and it will become operational in early 2019 with the latest technology used for the production of bus and lorry tyres,” he noted.